Add houses to Your Land Business. Practice with Land. Jack Butala: Jack, Jill here. Jack Butala: Welcome to the Jack and Jill show. It’s here where we provide entertaining real estate investment advice. I’m Jack Butala. Jill DeWit: I’m Jill DeWit, broadcasting this week, still from sunny southern California. 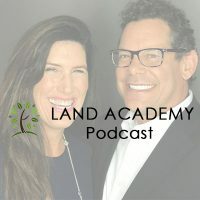 Jack Butala: Today, Jill and I talk about why it’s really a good idea to add houses to your flipping land portfolio business. What’s the real harm in having multiple income sources anyway? Jill DeWit: No, no. It just makes it accounting thing. It’s too hard to track. Jack Butala: We want one income source. It’s good enough for me, sir, thank you. Jill DeWit: [cross talk 00:00:37] have something running in the background? No, no, no. That just gets confusing. Then, I’ve got to get my tax guy. We’ve got to talk that much longer. That’s not good. Then, we have to have multiple checking accounts. Well, that could be a pain. Jack Butala: My jaw. I had to pick my jaw up off the desk and I said, “What do you mean?” He said, “Well, I have …” This is where we’re kind of getting into the show, actually, but he said, “I have 42 rental houses. I have an apartment building. I just wrote my 13th book and the first one is still making money.” On-and-on. It got me thinking. I’m like, “Geez, this guy never sleeps.” I respect that. That’s what I mean by, add another thing to your business. Jill DeWit: I like that. I was going to say, I thought one was going to be Coke. I have 92 peanut machines, spread out across the valley. Remember those? You put a quarter in? Jack Butala: Yeah, a vending machine route. Those are still big business. Jill DeWit: I could have a hundred of those and I can also say I’ve got a hundred different lines of revenue and I just have a hundred different machines. Jack Butala: You would say that. Jack Butala: I would say that’s one line of business. Jill DeWit: I want to do that. I want to do that at a party. I have 105 different lines of business. A hundred of them are peanut machines. Jack Butala: Jill saves her best stuff for parties. Jill DeWit: Spread out throughout southern California. Jack Butala: You’re standing around with a cocktail in your hand with Jill, you learn stuff. Jack Butala: I learn the most about Jill in that environment. Jack Butala: If you listened to our show yesterday, that’s when she turns her personality on. Before we get into the real meat of the show here, let’s take a question posted by one of our members on the jackjill.com online community. It’s free. Jack Butala: That’s what we do here. Jack Butala: Hold on. $12,000 for six acres, one mile south of Austin. Let that sink in for a second. That’s what we do here. Go ahead. Jill DeWit: Deep thoughts by Jack Butala. Jack Butala: Just do the math up. Jack Butala: What’s this guy going to make this stuff? Jill DeWit: I know. This is awesome. The property’s zoned SF3 residential, but doesn’t have physical road access. It is also in the 100-year flood plain, one inch off the base level required. Does anyone have a good contact that might be able to help in discussing development options? Trying to assess the best path forward. Jack Butala: This is a perfect example of what this community’s all about. Jack Butala: I mean, I had a producer put this question in because it is just … I’m still floored. Like, what do you think that’s worth? Jack Butala: The flood plain issue, 100-year flood plains, sometimes assessors and sub-dividers and city planners take a look at what’s been in this specific flood plain over the long, many, many years ago and very, very frequently, when it’s rezoned for development, they remove that. The old school stuff is different. There’s new technology. I don’t need to explain that. As far as road access, the vast majority of the property that has legal access, doesn’t have road access. In my opinion here, this guy’s got a diamond in the rough. It just needs to be cleaned up, processed and sold. Six acres, man. Jack Butala: I mean, Austin. Jill DeWit: [cross talk 00:04:35]. Talk about gorgeous. Jack Butala: Austin. One of the constantly, the top ten, highest growth cities in the country. I think you just hit it, Ryan. Jill DeWit: Would you recommend he even cut it up into five, one-acre, or six-one acre properties. I did the math. Jack Butala: I would recommend that he sells it to the person who’s going to do that. If he’s going to pay $12,000 for these six acres, he’ll probably sell it for, I don’t know, a hundred. It’s probably worth way, way, way, more, but that’s what we do here. Jill DeWit: Mm-hmm (affirmative). Let them do it. Jill DeWit: It just needs to property get it out there. Jack Butala: He needs to get in front of the right person, but what he needs to do is run to the bank, actually, and buy the property or tie it up. Jill DeWit: Exactly. Today’s topic. Add houses to your land business. This is the meat of the show. Take it away, Jack. Jack Butala: How the heck would we do that? Jill DeWit: That’s hilarious. I’m going to sell tee-shirts next. That became our next business and just logically became our next income stream. Then, Jill and I bought a bunch of rental houses. Remember that? Jack Butala: We cleaned them up and actually ended up re-selling them because we didn’t want to deal with the tenants and stuff and all the management issues. There’s just as many issues. If you own rental properties and you have a management company, there’s just as many management problems with actually managing the management company as there are managing a tenant. It just became, after a while, very logical for us to start flipping houses. We were doing it anyway, we were just not happy as landlords. Now, we kill it. I don’t know if we make more, but we make as much by flipping houses. My point is, if you’ve got to, start with one successful revenue stream, whatever it ends up being. Hopefully, it’s land if you’re listening to this. 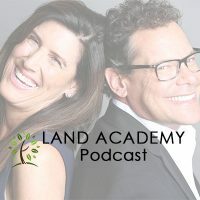 Flipping land or selling land on terms, and then, adding something to it. Don’t you think? Jill DeWit: Well, here’s what I thought was interesting, is how many people that are in our community that started doing houses. They got all into it. It was all romantic. It’s all HGTV. I want to do this with my wife. This is going to be so cute. They go, “Oh my gosh! This is a disaster.”, but they know there’s money to be made there. The majority of them that I work with, they never want to go back into the actual swinging the hammer thing and picking out the wood on the floors and all that stuff. They’re like, “No, I’m not doing that, man.” They still have friends there who are doing that. They know the community and they’re now finding the deals for them. Everybody wins. Jill DeWit: It’s really, really good. My suggestion is, if you’re into that, and Jill and I fell into it once or twice, go be an interior designer. That’s really what you’re looking at. You’re not looking at doing real estate acquisitions. Jill DeWit: Yeah, it’s much easier spending somebody else’s money than it is spending yours. Jack Butala: My point is, you’re not attracted to the deal making portion of that. You’re attracted to choosing wallpaper, dealing with the contractor, and it’s not a time schedule thing. You just love kitchen cabinets and stuff. Flash, however, at the end of the day. When I added it all up, the time and energy input, I didn’t make as much as just flipping it and walking away. Jack Butala: Here’s how you make money in real estate. Jill DeWit: That’s what did it for me. Jack Butala: Here’s the whole takeaway from this. Here’s how you make money. You create equity when you buy it. You’ve heard the whole saying. You make money when you buy it, not when you sell it. Jack Butala: Let’s say you do everything right. You send out a bunch of letters and you’re sitting and staring at one that came back, that’s signed, for a house that’s $145,000. You know when it’s all cleaned up, you can sell it for $250,000. Well, cleaning it up is going to cost a bunch of money. Let’s say it all goes right. After you clean it up, it’s 20 grand, or you could just sell it for $165,000 to somebody who is going to clean it up and you’re done and you’re onto the next deal. Now, you’re not picking any … I’m sorry to disappoint you, Jill, we’re not picking out wallpaper. We’re not moving any walls or getting chandeliers. Jill DeWit: No, I’m over it. It’s totally fine. No, don’t worry me. No apology needed. Seriously. Jack Butala: That’s how I look at the world. Jill DeWit: If I wanted to upgrade my chandelier in the bathroom, I can just go buy one. Jack Butala: Adding another income stream to your business, whatever it is, no matter how small it is, it’s almost always a good idea. Diversification of revenue streams is fantastic. If you have a convenience store, and you’re doing really well on the chewing gum rack, add another one. Jill DeWit: Buy another peanut machine. We have one. Jack Butala: Let’s talk about this vending route thing of yours. Would you like … If you go onto these business sites, where you buy and sell businesses, you can buy a vending route really quickly. Jack Butala: It’s not expensive. Jill DeWit: I wouldn’t do that. Thank you. I appreciate that. Jack Butala: Thank you for saying that. Jill DeWit: No, I wouldn’t do that. That was just being funny. No. Nope, sorry. What I would do, is remember the girl that we met that did the whole parking lot thing? Buying the piece of dirt, paving it, making a downtown parking lot. Jack Butala: Explain it to us. Jack Butala: This is a great business model. Jill DeWit: That girl that we met her, here in LA, at an investor group thing. She fell into it because her family has a construction business. They can do paving. She was working somewhere finding these properties. Her whole point was, finding these [in-flow 00:12:14] lots basically, paving them, and then she was even taking it a step further and found someone that could help her with the latest and greatest pavement that keeps the coolest and lasts ten years longer than everything else and all that good stuff. She was working on getting parking lots, basically, popping up around LA. I’m like, “That’s brilliant.” That makes sense. Jack Butala: She was ticking. From a data perceptive, for our listeners, she was taking houses, existing use houses that they’re zoned for or potentially zoned for commercial use on a large thorough way, on a large street. You could purchase it for its house value, bulldoze it, and make it a parking lot. Jill DeWit: Make good money. Jack Butala: Or some alternative use. She was like 23-years-old. Jill DeWit: Talk about low maintenance and everything was awesome. Jill DeWit: No. The girl was high maintenance. The property’s low maintenance. That’s a very good question. That’s a very good question, Jack, thank you. Jill DeWit: Would you look at her? She’s high maintenance. Jack Butala: I try not to look at her. Jack Butala: I try not to retain her name. It’s a concept I was after. Jill DeWit: Wouldn’t that be funny? Jack Butala: … Men do that every day of their life. Jill DeWit: I’m going to do that out loud. The next time, you and I are riding on this trail later, we’re going to do a little hour or so of pick out high and low maintenance. That would be hilarious. It’s like how I used to pick out yoga pants. Like, really, yoga pants? Everybody’s wearing yoga pants. I was a [inaudible 00:13:54] thing. It’s not here, thank goodness. Jack Butala: I don’t know if it’s not here. I think it’s here. Jill DeWit: Well, maybe not as bad. I don’t know. Jack Butala: That’s a topic. Yoga pants are a whole different topic. Jack Butala: Jill, I have so many questions about yoga pants. Jack Butala: We’ve done it again. You’ve wasted another 30 minutes listening to the Jack and Jill show. Join us tomorrow where we discuss money well spent. Jill DeWit: And, answer your questions, should you have one. Post it on jackjill.com, our online community. Jack Butala: You are not alone in your real estate ambition. All right, this yoga pants thing. Jill DeWit: Oh my gosh! I’m so over the yoga pants. It was so nice when, man, just walking around here. I mean, how about this? When I see yoga pants here, I see people out exercising, wearing them as they are meant to be worn. More than every single woman in the mall and the grocery store, and every time they drop off and pick up their kids. They live in them. That’s all they own, yes. Jack Butala: It’s not so much the yoga pants that concern me. It’s the willingness and the laziness for people. This is not gender-specific, people to, without thinking, just jump onto the bandwagon. Jack Butala: Everybody’s wearing them, so I’m going to wear them because I am the exact opposite. If everybody’s doing it, I’m going to go the other way, which is probably just as equally unhealthy. Jill DeWit: Yeah, it is. Just kidding. Jack Butala: Jumping on the bandwagon for anything, even investing. Everybody’s buying houses now because the interest rates are low and money’s freely available. Jill DeWit: I get it. Jack Butala: Here’s a mortgage example. If you read on the internet about, from a lender who’s written it, you should always buy. I’m not advocating this. I’m regurgitating some really bad advice. You should always buy as much house as you can afford. Jack Butala: What they mean is, the payment. They want you to have the lowest down payment and the highest payment, based on your paycheck. That is maybe. Jill DeWit: That is awful. Jack Butala: That is exactly how to file bankruptcy. Jack Butala: Like eight years later. Jill DeWit: Right. I’m with you. Jack Butala: That’s how I see yoga pants. Jill DeWit: That’s very interesting. All right, I got it. I was thinking about you bucking the system and going against the system. You know what the whole point of it is? Just be true to yourself. Do whatever you want to do. Jack Butala: That’s my point. We’re making the exact same point. Jill DeWit: Exactly. You know what you look good in and you know what you don’t look good in, for a lot of people, it’s not yoga pants. Jack Butala: I ask myself this. Are these pants, does it really matter? Does this house, this mortgage that I’m about to … Ten years from now, are my kids going to say, “Wow! I had a better life.” Gee, none of that stuff is true. What really matters to me personally is having fun. Jill DeWit: And making money. Jack Butala: And making some money. We’re about to take this whirlwind West Coast RV trip, which I can’t wait. I usually dread vacations. You want to know? This is the truth. Jill DeWit: Well, that’s sad. Jack Butala: I usually dread vacations because I’m out of touch. Jill DeWit: Because you’re spending quality time with me? Jack Butala: I’m spending quality time with you right now, princess. Jill DeWit: Thank you. All right. We’re going to move on right there. Share the fun by subscribing on iTunes or wherever you’re listening. While you’re at it, please rate us there. Jill DeWit: We are Jack and Jill. And inspiration.